Also available for rent! Featured in north shore magazine fall 2015! All new appliances due to the Columbia gas outage!The Hannah Fay house boasts Italianate Architecture, and could not be any closer to the Phillip's Academy's campus! You have found one of Andover's finest treasures. Also featured in Howell Custom Building Group's ‘Historic Home Renovation' Article. 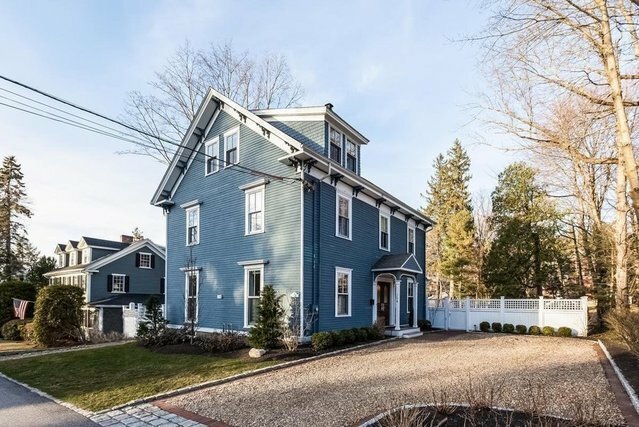 The owner's renovation project received a 2015 Silver PRISM award from the Builders and Remodelers Association of Greater Boston.Stunning kitchen with granite counters, Sub-Zero fridge, additional fridge drawers, wine cooler, kitchen island, stainless appliances, oversized built-in microwave, super modern sink appliances and more. Screened Porch with breathtaking views of the yard. Marble master bath with Radiant floors –including the shower! 10-foot ceilings, reclaimed and stained hardwood floors, completely redone 3rd floor.